Over the years at Don Valley Academy, we’ve had more than our fair share of elite athletes in our classrooms. As a small private school, our student-centred learning environment and flexible scheduling work well with these aspiring champions, who need to fit their school year around their training schedule and their competitions. Two elite athletes among our current crop of students are Karl Kuus and Katia Orlova-Kramble. Karl races with the Ontario Ski Team – many of whose graduates go on to ski for the Canadian Alpine Ski Team. Karl had some fine accomplishments in alpine skiing last year. 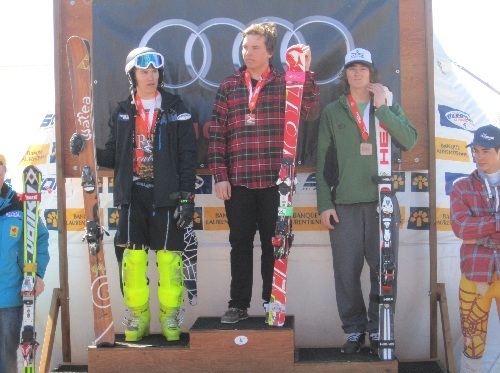 In March 2012, he placed first in Slalom at the J1 Championships in Whistler, BC. Then, in April, he placed second overall in the J1 category in the FIS Super Series in Le Ralais, QC. Karl was studying with us in September. He is currently training in Chile for the upcoming ski season. We’ll be cheering for you, Karl! 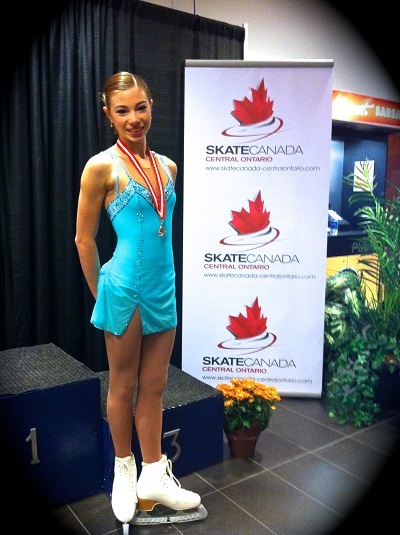 Katia has skated in competitions across Canada and in the United States, and she has had a couple of notable results skating for Canada in France. 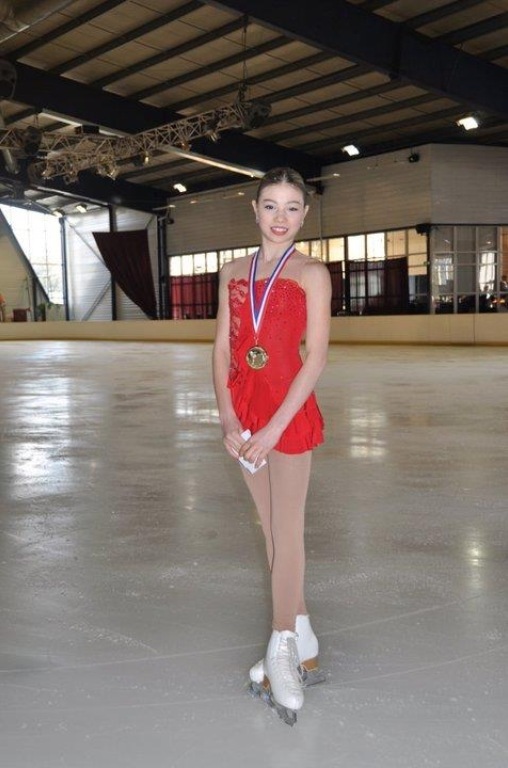 She placed tenth in the “Novices Dames” division of the 2011 French National Championships and seventh in the “Juniors Dames” division of the 2012 French Club Championships. 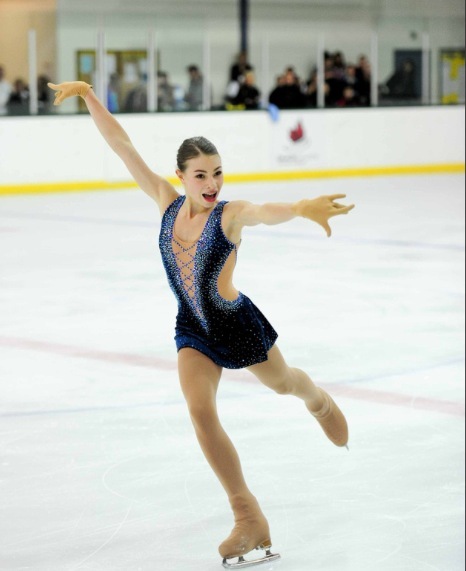 This year, she’s skating as a junior competitive figure skater, hoping to make the Canadian Figure Skating Championships in 2013. Katia trains with coaches Astrid Shrubb and Ghislain Briand at the Toronto Cricket Club. She skates every morning before school; then she’s back on the ice and in the gym every afternoon. She’s working hard now, because Sectionals (for all of central Ontario) are coming up next month in Barrie. Katia needs to place top-four in Barrie to qualify for the Divisionals in Regina in December. From there, she has a chance to compete in the Canadians in January. Good luck this year, Katia! UPDATE (Nov 5): Katia placed third in Sectionals in Barrie this past weekend, qualifying her for Regina. (Short Programme: 1st place; Long Programme: 3rd Place; Overall: 3rd place; Total points: 107.36.) Way to go, Katia!